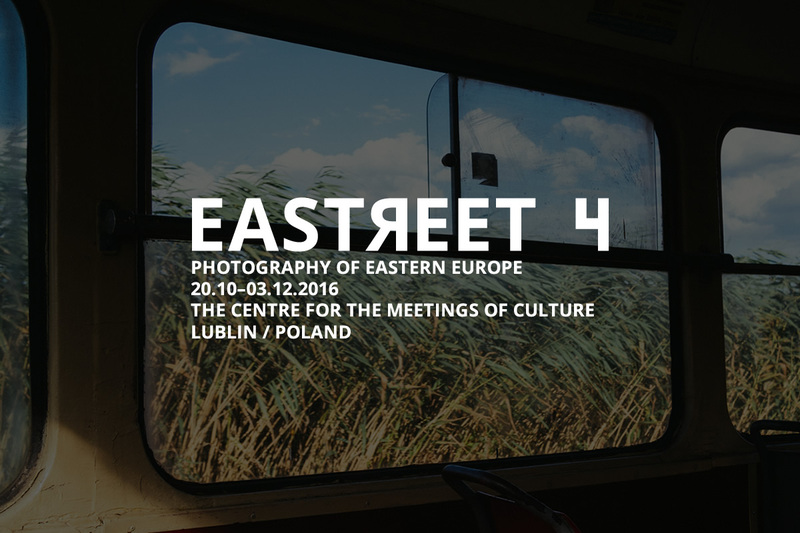 Eastreet 4 exhibition opening and book launch will take place on 20th October 2017 at the Centre for the Meeting of Cultures in Lublin, Poland. Opening weekend will be accompanied by a photography workshop, portfolio review, presentations and curators talk. Exhibition will be open until 3rd December 2017 (free admission). Exhibition and all other events are FREE. Participants lists for the workshop and portfolio review are now closed. Free tickets for the film screenings will be available for collection from 20 October at the Centre for the Meeting of Cultures in Lublin. Exhibition and all accompanying events are taking place at the Centre for the Meeting of Cultures, Plac Teatralny 1, 20-029 Lublin – map. Exhibition open Tuesday – Sunday, 12:00 – 18:00, until 3rd December 2017. Admission free. Eastreet is an ongoing project dedicated to the photography from Eastern Europe. Close to 11.000 photos were submitted to the new edition. The curators team selected 100 photos, taken in 20 countries, by the authors from around the World. Selected photos will be presented in a form of a gallery and outdoor exhibitions, as well as included in a special book publication.